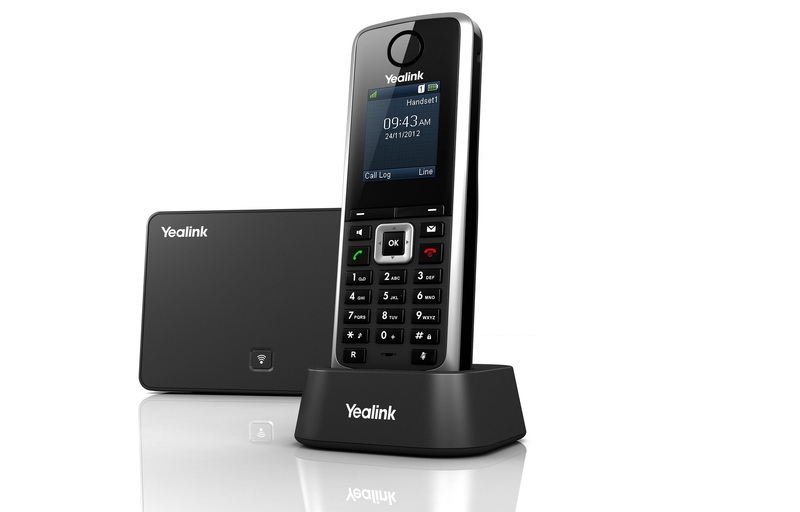 In an office dominated by wireless DECT phones, the YealinkW41P DECT Desk Phone is one of a kind for executives, managers and reception desk which requires IP phone experience with extraordinary HD audio, larger display and larger and multiple function keys. 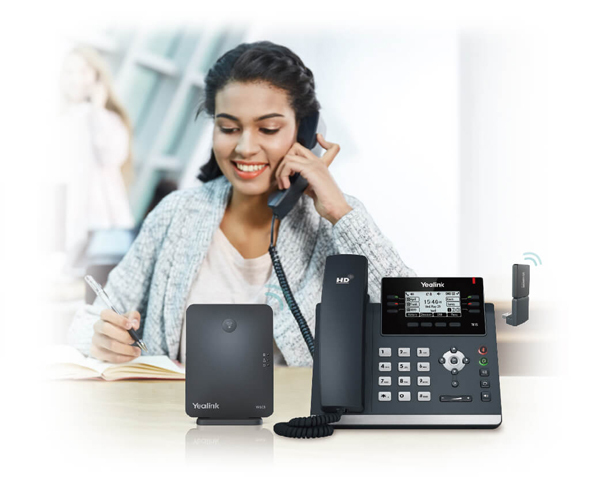 The W41P sheds the needs for physical network connections and additional deployment, the phone is made a great complement by adding comfort and tidiness to your wireless office with only one power cable. 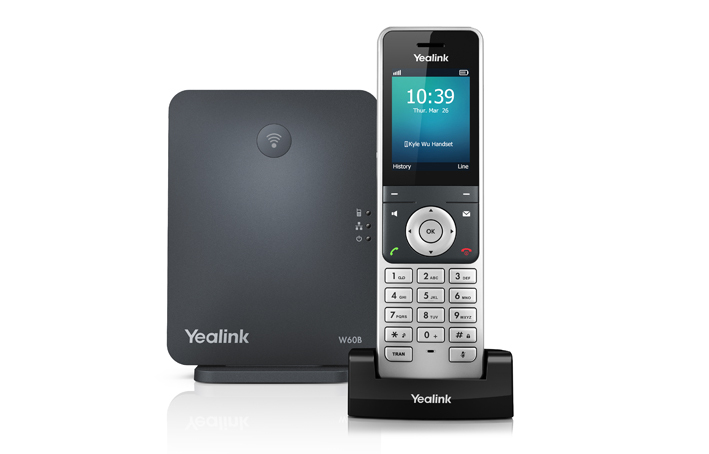 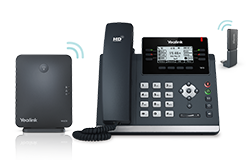 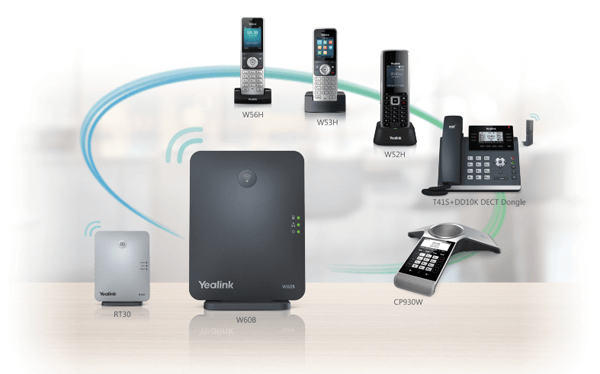 The W41P Delivers exceptional call clarity with Yealink sophisticated HD voice technology. 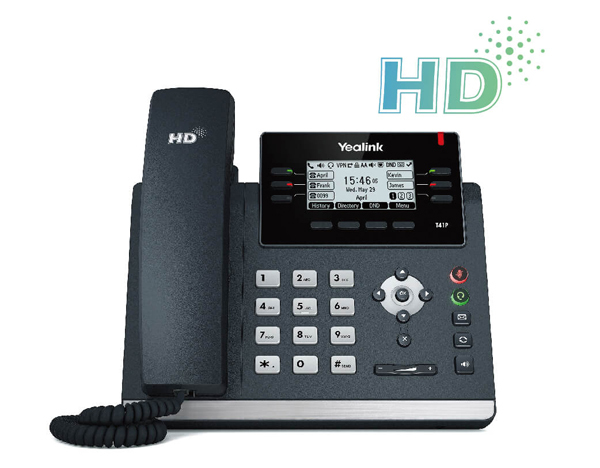 Intuitive user interface with a 2.7” graphical LCD display, 6 line key with LED indicators, large key pad for simple navigation and quick operation. 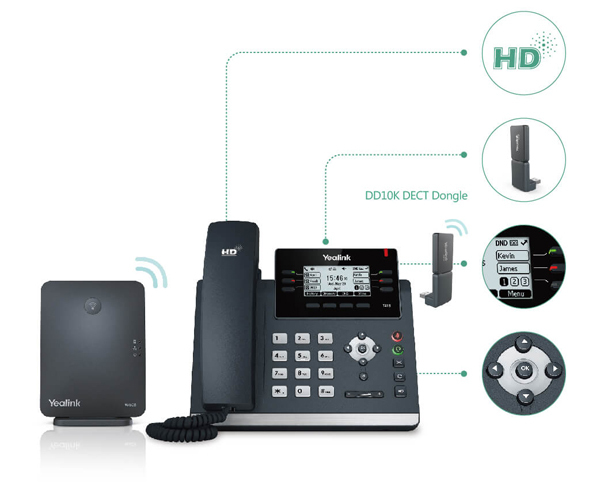 By plugging the Yealink DD10K DECT Dongle into your T41S IP phone, the phone is ready to co-work with your DECT system and power up your communication at the desk.